On Monday The Gateway Pundit was one of the first news organizations to report on Project Veritas releasing undercover videos exposing the radical leftist group, D.C. Anti-Fascist Coalition. The radical groups was planning a potential terrorist act which included setting off butyric acid stink bombs and fire alarm sprinklers at a Trump inaugural party. Thursday morning, James O’keefe released new updates following his latest undercover video sting exposing leftists. 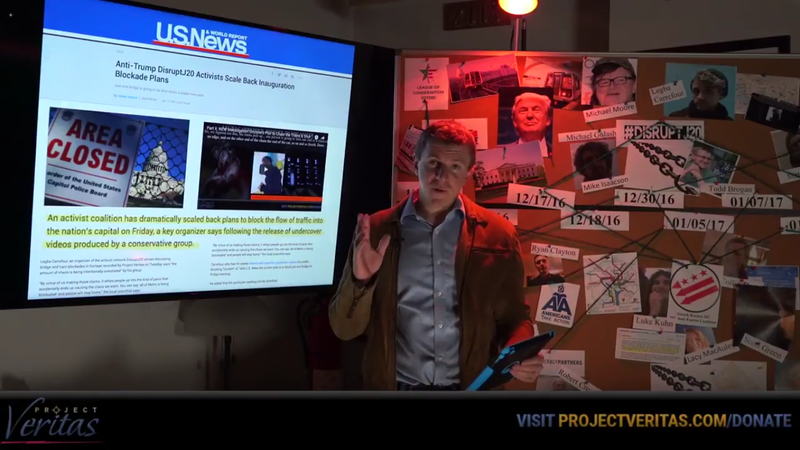 The attorney for Project Veritas met with a detective from the Terrorism Task force and they are reviewing and analyzing the information from the undercover videos. Also the left-leaning Huffington Post gave praise to Project Veritas for their recent work.